The San Telmo Museum has culminated a process of renewal and extension required to reach out to the public in this new 21st century. The San Telmo Museum has culminated a process of renewal and extension required to reach out to the public in this new 21st century. 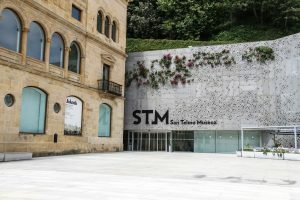 The keystone to this project is the small architectonic “gem” incrusted in Mount Urgull and designed by the architects Nieto & Sobejano, featuring a characteristic facade covered in plants.